Nicole Carter has a BS in biochemistry with a minor in biology from Old Dominion University. She is currently pursuing her Pharm.D. from VCU. Her interests include ambulatory care, entrepreneurial pharmacy and horror films. 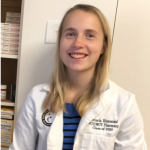 Torey Hammond is a third-year pharmacy student who studied at VCU before attending pharmacy school. Her interests include public health, geriatrics and cats. 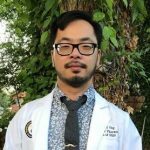 Michael Ong, a third-year pharmacy student, is a graduate of Bucknell University and Virginia Commonwealth University with degrees in psychology and chemistry. His interests in pharmacy include public health and global health. 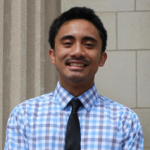 Christian Ruiz is a third-year Pharm.D. student who majored in chemistry and minored in music and biology at VCU. His interests include emergency medicine, critical care and fishing.